Black-eyed Susan-(Rudbeckia hirta)-The Black-eyed Susans are flowering plants that grow over 3 feet tall. They can grow just about anywhere. They have yellow flowers with a purplish-brown center. Bees and butterflies are attracted to it's flower nectar. It is a Biennial which means it lives only two years. They bloom from June-October. 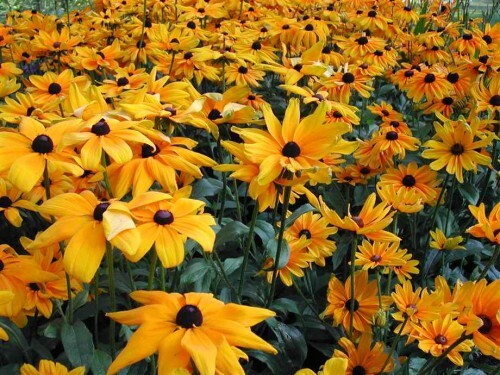 The Black-eyed Susan is the State flower of Maryland. Brighten up your home with a kiss of sunshine with the Black-Eyed Susan!